Healthy turf creates a great environment for the whole family to enjoy! Picture this: It’s Thanksgiving Day. You and your family have been working all day on dinner, and it’s finally in the oven. You head outside with your relatives and kids and start up a game of touch football on your lush, maintained lawn. It’s Thanksgiving, after all; football is almost synonymous with the holiday. The birds are chirping and a brisk breeze rolls off the turf as you throw up a long pass. Suddenly the day doesn’t seem so hectic. Any anxiety melts away. Sounds pretty nice, right? That’s just part of what turf contributes to our health, stress relief and lifestyle. You can enjoy a nice cup of coffee on the patio, overlooking your gorgeous grass before your day begins. The kids can pitch a tent in the back yard. You can grab your favorite book and curl up on the lounger. 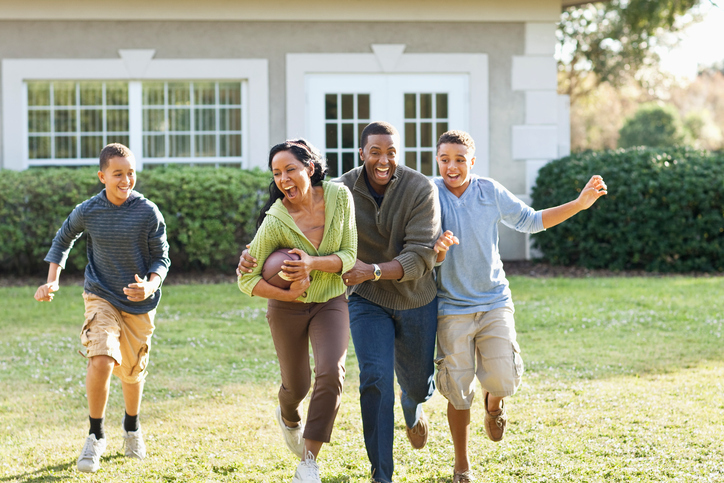 A healthy lawn provides space and incentives for the family to be more active, and ultimately spend more time together. Not only is your lawn improving your quality of life, turf also comes with an abundance of ecological benefits. All of that is in addition to the ecological benefits of growing a healthy lawn. For example, a 50 x 50 foot lawn releases enough oxygen for a family of four while also absorbing ozone, carbon dioxide and other airborne chemicals. That air filtering can also reduce noise in suburban areas to give you a feeling of serenity. Just walk into your home improvement store and ask for Harmony. 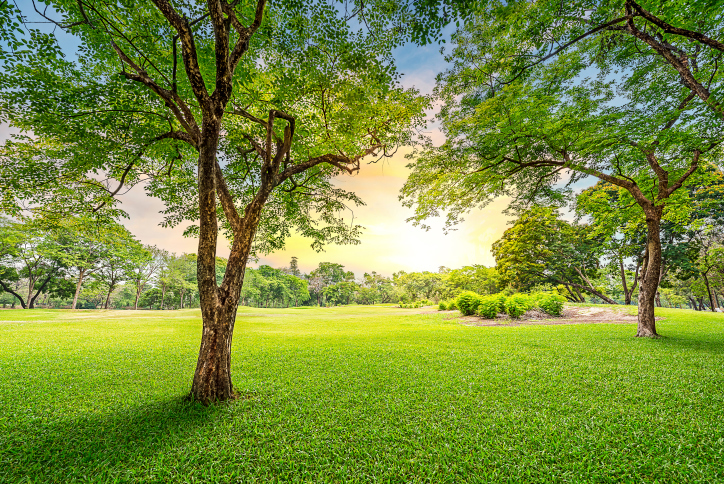 All you need to know is how you want your grass to function: If you have an area that gets high wear, ask for Harmony Play; normal wear is ideal for versatile Harmony home; and an area that gets low amounts of sunlight requires Harmony Shade. Harmony is always a premium quality grass variety adapted for your region and your application, sold by a growers’ network that adheres to rigorous Harmony standards. Harmony works with leading universities, researchers and growers to cultivate the finest sod varieties – ones that require less water and fertilizer – for lawns that make for better outdoor living. And we’re thankful for that!